5th - 7th April: Avon: League: Beverley 14.14 Quairading 5.7. Reserves: Beverley 11.8 Quairading 4.3. Central Wheatbelt: Koorda 18.10 Bencubbin 4.11; Kalannie 40.19 Nungarin-Towns 6.5; Mukinbudin 18.10 Beacon 7.7. East Kimberley: Kununurra Demons 16.12 Kurrungku Roos 1.0; Halls Creek Hawks 18.9 Waringarri Crows 3.5; Yardgee Dockers 17.12 Wyndham Crocs 6.6; Kundat Djaru Cats 11.4 Bow River Blues 8.18; Ord River Magpies 11.11 Warmun Eagles 6.5. Goldfields: League: Kalgoorlie 16.11 Railways 6.6; Boulder 15.8 Kambalda 8.7. Reserves: Kalgoorlie 13.12 Railways 7.5; Kambalda 8.2 Boulder 4.8. Colts: Kalgoorlie 14.16 Railways 6.1; Boulder 11.18 Kambalda 2.4. Great Southern: Women: Albany 3.3 North Albany 2.5; Royals 5.9 Railways 0.3. Lower South West: League: Tigers 12.6 Deanmill 9.7. Reserves: Deanmill 15.8 Tigers 5.2. Colts: Tigers 28.20 (Deanmill 2.2; Bridgetown 15.14 Southerners 2.4. Mortlock: League: Toodyay 15.13 Calingiri 12.8. Reserves: Calingiri 19.8 Toodyay 4.6. Newman National: Tigers 13.5 Saints 8.0; Centrals 15.10 Pioneers 6.4. Peel FNL: League: Pinjarra 11.7 Halls Head 10.4; Baldivis 16.14 South Mandurah 5.9; Rockingham 22.10 Mandurah 14.11; Waroona 6.5 Centrals 3.9. Reserves: Halls Head 10.5 Pinjarra 9.10; Baldivis 9.9 South Mandurah 8.6; Rockingham 10.7 Mandurah 8.5; Centrals 7.8 Waroona 3.8. Colts: Pinjarra 9.12 Halls Head 8.7; Baldivis 9.14 South Mandurah 9.12; Rockingham 9.14 Mandurah 4.7; Centrals 12.10 Waroona 6.8. Women: South Mandurah 15.7 Baldivis 2.4; Rockingham 7.10 Mandrah 1.0; Pinjarra 28.19 Dwellingup 0.0. 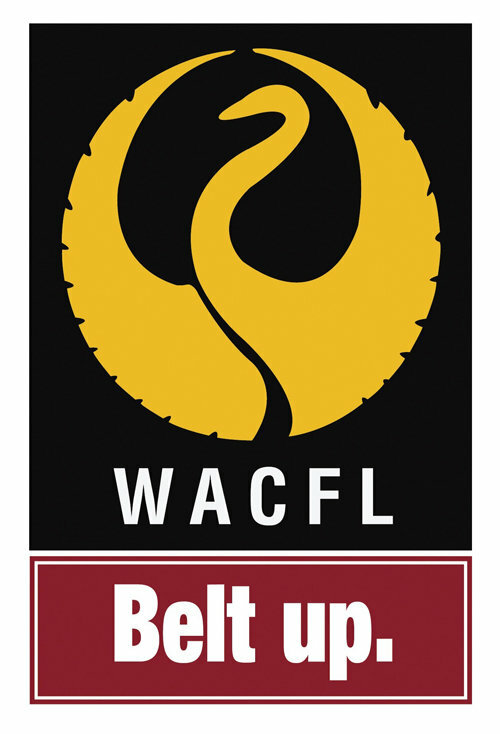 South West: League: Aug-Marg-River 7.15 South Bunbury 5.6; Carey Park 8.8 Donnybrook 5.5; Harv-Bruns-Lesch 10.8 Busselton 8.11; Bunbury 14.13 Harvey Bulls 4.4; Reserves: South Bunbury 12.6 Aug-Marg-River 10.6; Carey Park 19.18; Donnybrook 2.3; Bunbury 29.15 Harvey Bulls 1.2; Harv-Bruns-Lesch 15.8 Busselton 3.2. Colts: Aug-Marg-River 9.12 South Bunbury 6.13; Donnybrook 11.6 Carey Park 7.10; Busselton 21.16 Harv-Bruns-Lesch 3.4; Bunbury 26.13 Harvey Bulls 2.5. Womens: Harvey Bulls 7.12 Bunbury 1.1; Busselton 6.0 Harv-Bruns-Lesch 4.5; Collie Eagles 7.2 Eaton Boomers 3.3. 29th - 31st March: Goldfields: League: Mines-Rovers 9.16 Boulder 11.3; Kalgoorlie 17.9 Kambalda 10.7. Reserves: Boulder 14.10 Mines-Rovers 2.3; Kalgoorlie 12.9 Kambalda 6.5. Colts: Mines-Rovers 19.10 Boulder 5.8; Kalgoorlie 21.14 Kambalda 2.2. Lower South West: Colts: Bridgetown 18.10 Deanmill 6.6; Imperials 28.24 Southerners 2.1. Newman National: Pioneers 15.15 Saints 9.5; Tigers 10.8 Centrals 8.11.